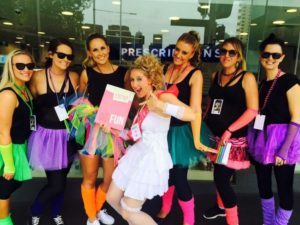 One of our most frequently asked questions is, how many friends can I invite to a Hens Treasure Hunt? We’ve catered for groups of 6, right up to 36! On a Hens Treasure Hunt, you’re divided into teams before you head off to unsuspecting challenges – and cute guys – searching for the illusive treasure! Yes, this does still work with a small group, as you can work as one team. For larger parties, we opt for more groups. Even if group members aren’t familiar with one another, the challenges are cheeky – without being totally dirty – and designed to get everyone involved and interacting with one another. It’s a win for everyone. Any pressing questions? Drop us a line, anytime!